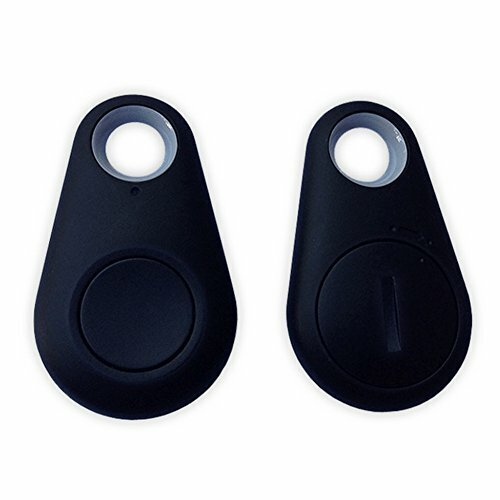 Dynotag Web Enabled Smart Round Coated Metal ID Tag and Ring. 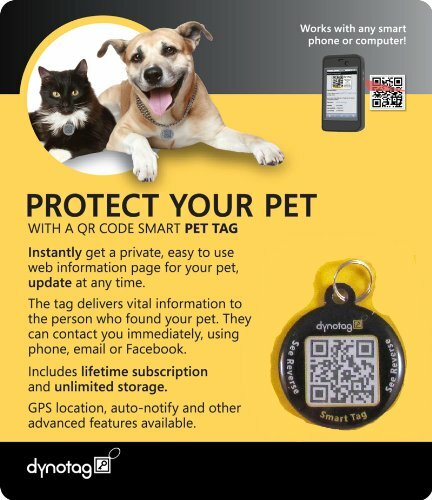 Pet Tag, Property Tag – Multiple Uses, with DynoIQ & Lifetime Recovery Service. PEACE OF MIND: Recover pets, property, personal gear! Protect against Identity Theft! Lifelong protection for belongings! Securely sets up in a minute, protects for life! You’ll wonder how you lived without it! Tag shows contact and other information you set up. Viewers contact you OR our support team to arrange recovery! With hundreds of thousands of tags in service, Dynotag is the leading company providing maintenance-free smart tags with offices in the U.S., Canada and Europe. This product comes with GOLD level full functionality. LIFETIME subscription is INCLUDED! 1″ (2.5 cm) nylon blue collar with nickel plated square buckle and keeper. Item Ringer: Quickly ring it with the touch of a button. 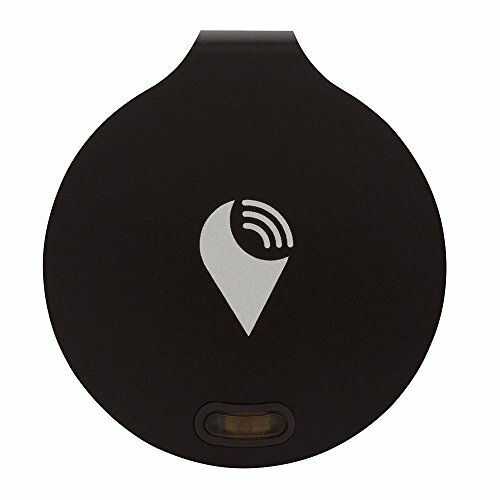 TrackR bravo is a Bluetooth tracker small enough to attach to anything: keys, purse, briefcase, laptop, luggage and pets. 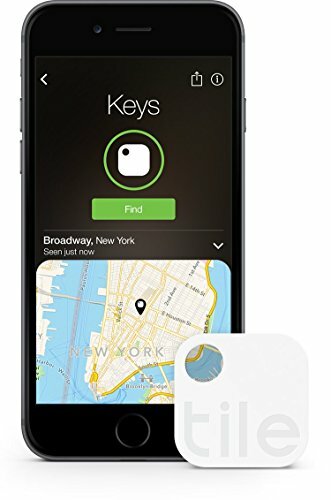 Phone Finder: Ring your misplaced phone – even on silent. Works with Alexa. Can’t find your smartphone? Just ask your Alexa-enabled device to tell you where it is. Designed to last: Uses one CR1620 battery that’s easy to replace. Order replacements right through the app when it runs low.